Shop on prominent corner of E Miner and N American downtown Stockton with small pylon sign. 545 E Miner Ave (and 321 N American St) are combined to be approx. 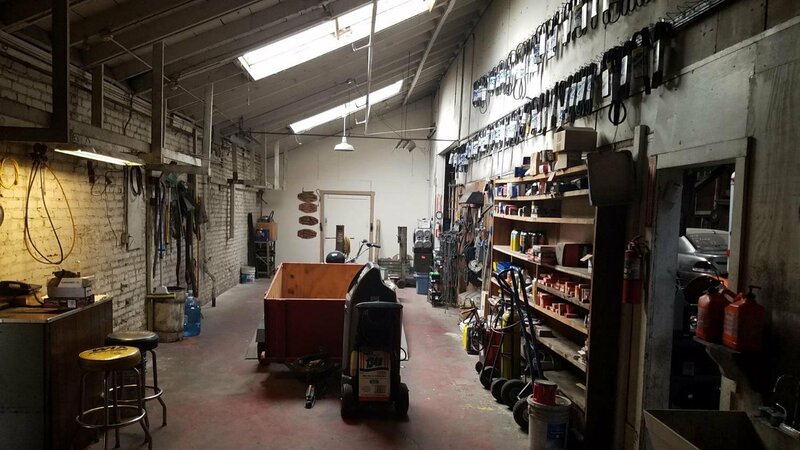 a 5,583 sf building consisting of shop space, small office, and small yard; both properties sit on a combined approx. 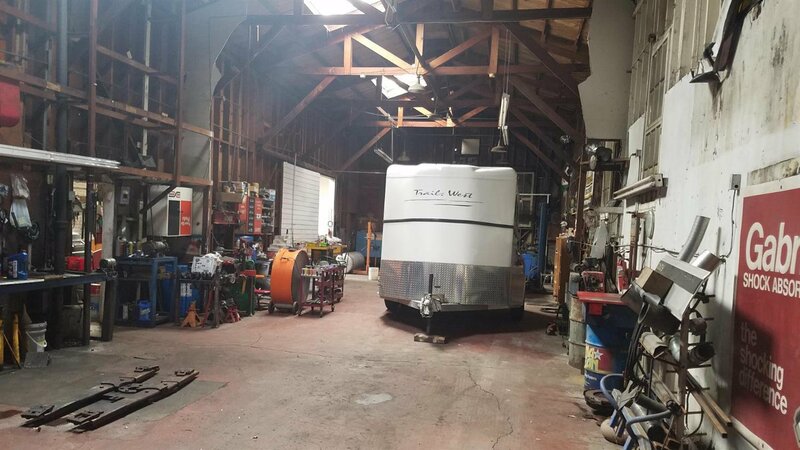 9,191 square foot lots. 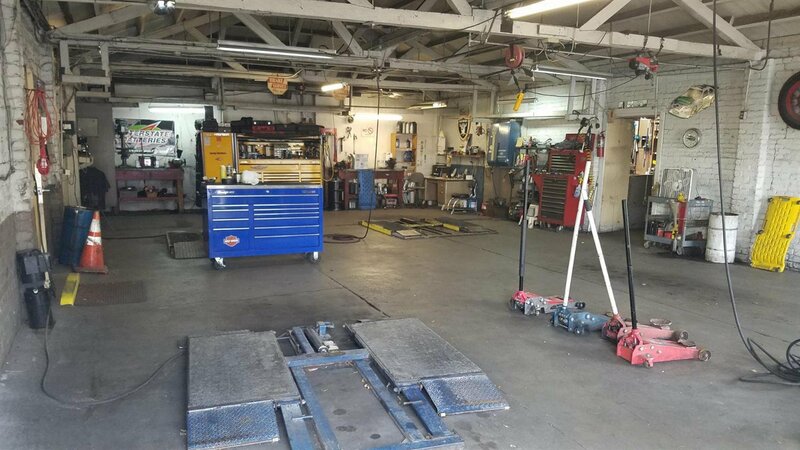 Currently used as an auto repair shop, the building includes 4 grade level doors (1 high enough for semi trucks), office, and a small gated lot/yard. 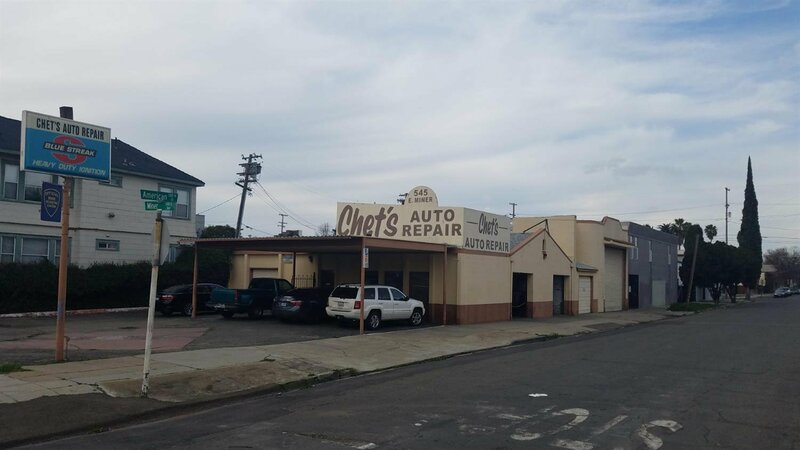 The subject property is ideal for auto repair, printing, sign fabrication and installation, and contractor services. 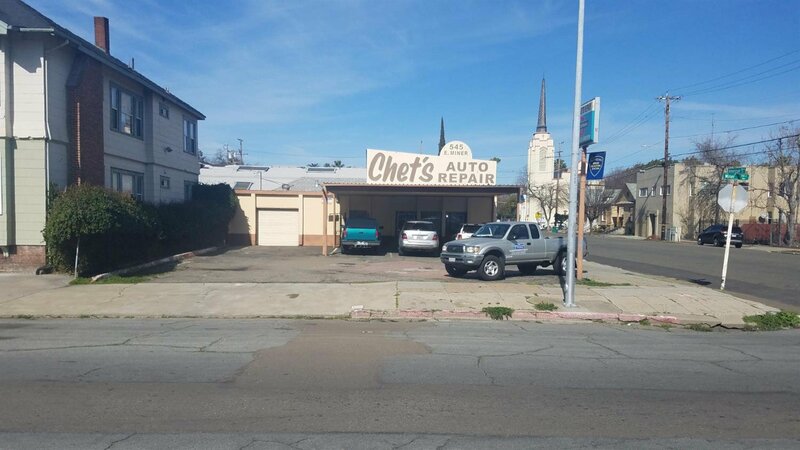 Property is to be sold together with 321 N American Ave. (list price is for both). Equipment is available separately. 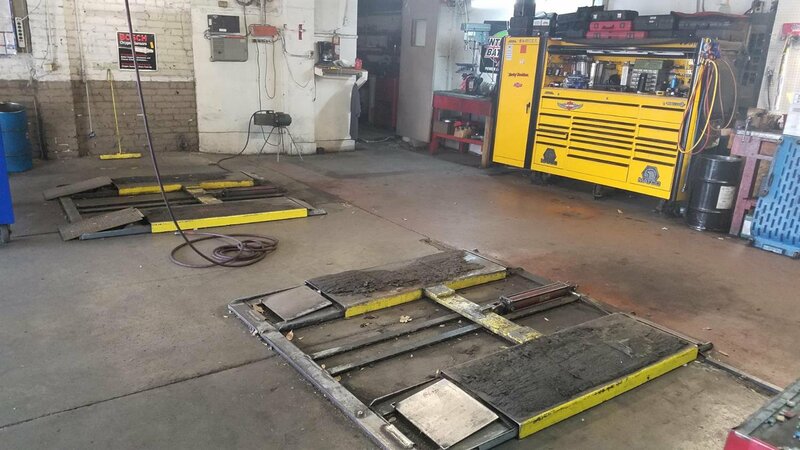 Blue car lift is not available for sale.